Electron paramagnetic resonance spectroscopy (EPR), also called electron spin resonance (ESR), is a technique used to obtain structural, functional, and dynamic information about systems with unpaired electrons. The basic concepts of EPR are analogous to those of nuclear magnetic resonance (NMR), but electron spins are excited instead of nuclear spins. Because most stable molecules have all their electrons paired, the EPR technique is less widely used than NMR. However, this limitation also means that EPR offers great specificity, since ordinary chemical solvents and matrices do not give rise to EPR spectra. As a result, EPR spectroscopy plays an important role in better understanding systems including paramagnetic species such as organic and inorganic radicals, transition metal complexes in catalysts found in metalloproteins, transient species such as spin-correlated radical-pairs and triplets as in the photosynthesis reaction center protein complexes, etc. CW-EPR for studying dynamics and spin trapping. ENDOR (electron-nuclear magnetic resonance) for studying interactions between the paramagnetic species and its neighboring nuclei. ELDOR (electron-electron double resonance), for studying interactions between two paramagnetic species. This technique is mainly used for utilizing the structure of membrane proteins by spin labeling them using site-directed mutagenesis. Time resolved EPR (TREPR) spectroscopy is a powerful tool that can be used to determine spin-selective formation and decay mechanisms of radical-pairs (RP), upon photoexcitation, as well as structural information by monitoring their spin dynamics directly on a nanosecond time scale. 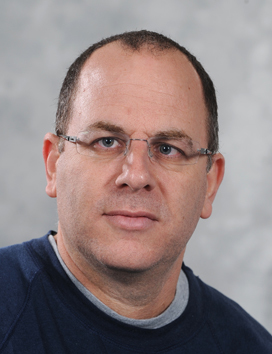 In addition, the EPR Lab at the Weizmann Institute has developed a few novel techniques such as 1) a spin-tapping technique for quantitating and monitoring the kinetics of the appearance of short-lived reactive oxygen species and carbon-centered radicals in chemical, photochemical, and biological systems. This technique can also be used to distinguish between the various reactive oxygen species, which include superoxide and hydroxyl (OH) radicals, as well as singlet oxygen (1O2). This technique is unique for characterizing oxidative stress in biological and chemical systems. 2) An ESR approach has been developed for the quantitative determination of sulfhydryl groups (down to 10-12 moles) in chemical and biological systems. 3) A novel ESR method that was developed recently for measuring electron-transfer (ET) rates by the use of time-resolved ESR involves photo-oxidation of spin labels by ruthenium complexes. This approach can be applied for studying ET in proteins, nucleic acids, and biological membranes. The EPR Lab provides consultation, training, and services for scientists interested in EPR spectroscopy for various applications.